Have a hard to shop for woman in your life? Maybe you’re working with a small budget. Don’t fret, this gift guide for women will definitely help! Like all of my other gift guides, I’m sharing items for all budgets, along with stocking stuffer ideas. Let’s dive in! If you have a coffee lover in your life, then the Nespresso Lattissima One with a milk frother, will make the perfect addition to their kitchen. Now, if you have someone that is on their feet a lot for work, or anyone really, a Foot Massager would be SO appreciated — imagine coming home from a long day to one of these! Any wine lover in your life will be so happy to open up this vacuum-insulated Wine Chiller — which comes in several colors! This next product would be perfect for ALL women — the Katana Saftely Arc — a personal security system that attaches to your phone. It make Oprah’s favorites, so you know it’s the real deal! For the traveler, this travel amenity kit is a MUST — it includes so many comfy essentials. Another fun wine related gift, this electric corkscrew, that comes in a few other colors — would make a great gift paired with a bottle of wine. Now for stocking stuffer ideas — a cute mug is never a bad idea and neither is a cute, warm head turban. I recently purchased a facial massager and I highly recommend one to everyone — this one is super inexpensive and rose quartz! 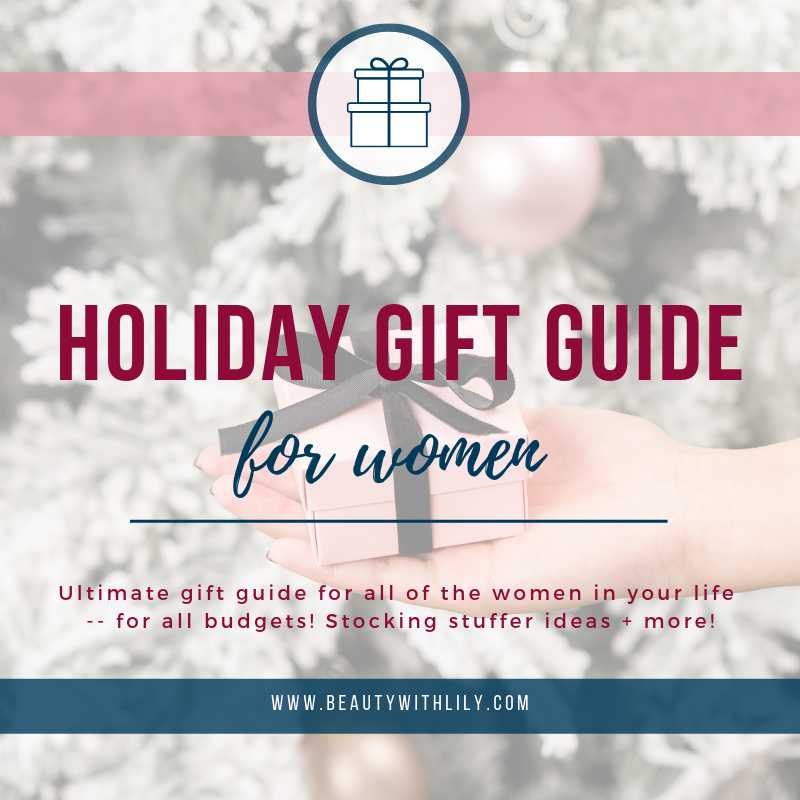 I hope you found this guide helpful — there are so many amazing products, that I’m sure there’s something here for almost every woman! What are you planning to get the women in your life?